A vast selection of textures, colors, sizes and laying patterns that enhance the effects of light and shadow. 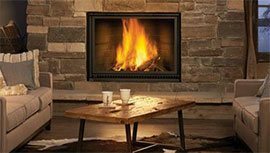 A full line of Wood, Gas, Pellet and Coal Stoves are available in our store. As well as Fireplaces, Inserts, Gas/Charcoal Grills, as well as many accessories. 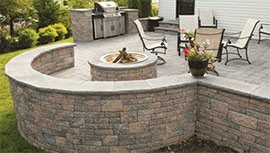 We carry many types of decorative gravel (bag & bulk), concrete bricks and blocks, stone, and lighting, allowing you to create your own unique outdoor style. 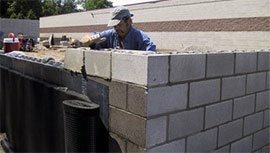 There are many brands of retaining walls available, but we only carry the best including Champlain Stone, EP Henry, Navascape, Nicolock, Rockwood and Rosetta. As a committed member of the Phelps business community since 1946, we are here to serve you. 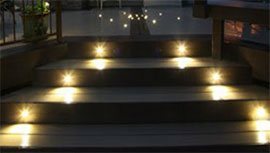 It does not matter if you are a building or landscaping professional, or a homeowner looking to enhance your home, we provide you with the same great products and service. We want to work with you today and for years to come. DREAM IT - BUILD IT What does your outdoor dream living space look like? Make your dream come true, ask an associate about our improvement loans for 0% OR .99% Financing - For up to 60 months. Due to great services in the past we're looking at a wood burning fireplace and will be going back to the wonderful staff at Phelps Cement. They also have helped us work out the material needed for our beautiful Patio. Thank You Phelps Cement.A Customer For Life!!! Always prompt courteous sevice. They aim to please. They came through with what we needed last minute and were very kind and professional. I'd like to thank Jerry Haers for his patience in explaining the differences in all the stoves he carries. I tend to do a fair share of due diligence when making a purchase and found Jerry to be both knowledgeable and courteous when dealing with my questions regarding my stove purchase. Thanks Jerry.